A favorite Psalm sings, “You will not fear the terror of night, nor the arrow that flies by day.” But when modern “arrows” are explosives, it’s awfully difficult to be unafraid. Therefore, it might be understandable that fear causes most Americans to feel that torture of suspected terrorists is often or sometimes justified, apart from justice. However, it’s more than a little confusing when people who say they’re Christians are more supportive of torture than self-identified “unaffiliated” Americans, and it’s downright surprising that those who regularly worship support torture more than those who rarely attend religious services. Soon, the U.S. Senate Intelligence Committee is expected to release its report from an 18-month probe into the CIA’s use of torture — abuses including long-term isolation and sensory deprivation, extremes of heat and cold, water-boarding, sleep deprivation, forced stress positions and worse. Elsewhere, the Department of Justice is investigating the torture deaths of some detainees, so the issue is again being debated. It should be discussed prayerfully as well as politically. After all, the Romans tortured Jesus, beating and scourging him and placing thorns on his head and a spear in his side during his crucifixion, presumably because they wanted to extract information about a feared Jewish uprising against the empire as much as inflict punishment. Even if his treatment is seen as destined, his suffering and pain were real, and the brutality shameful. But there seems to be a feeling — probably fueled by fear — that torture might be needed for national security, so maybe it’s logical, if not exactly defensible. Of course, St. Paul in Romans 3:8 clearly wrote that doing evil to achieve good is forbidden. Polls say more Americans support some torture than oppose it. The breakdown ranges from 49 percent of the total U.S. population supporting and 47 percent opposing, according to the Pew Research Center, to 60 percent supporting and 39 percent opposing, according to Roper. Meanwhile, 62 percent of evangelical Protestants think torture is OK; 51 percent of Catholics; 46 percent “mainline” Protestants; and just 40 percent unaffiliated. Read the article here. 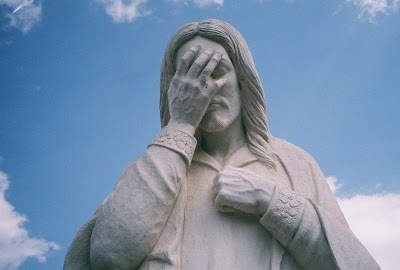 And Jesus wept. This is just shameful. You are not prolife if you think abortion is ever morally justified. You are not prolife if you think that torture is ever morally justified. That is the clear and consistent teaching of the Church. Human beings are made in the image and likeness of God. Sin does not erase that fact. Human beings are, therefore, sacred and are to be treated with dignity. Always. Without exception. This entry was posted in Catholic Moral Teaching, Culture of Death, Pro life and tagged Christians, evil, Torture. Bookmark the permalink. Susan, what great timing for me to receive this post. I was pondering about some “acquaintances” that I have that are Catholic and are pro choice. One is the wife of a long time deacon & the other is the wife of a gentleman who is starting the diaconate program next month with my husband. It doesn’t matter what I say to them & what arguments I bring to the table, I cannot get them to change their mind. This is especially difficult for me to comprehend… a deacon’s wife and a recently confirmed Catholic (Easter 2010)! I will link your post from my Facebook – hopefully they will recognize themselves and pray about this. I also know deacons who think that pro choice is just fine and dandy despite the Church’s teaching. The right to life is the foundation of all the social justice teachings. I can’t figure out how, with a good conscience, they signed the oath of fidelity before their ordination. Ditto for the pro torture deacons. This is such a controversial thing in some aspects. Today is the anniversary of the bombing of Hiroshima, the act that did bring about the surrender of the Empire of Japan. I know that it was wrong, I trust the magisterium but I also think that it was the only way to end the war. My grandparents talked about the war, all the families losing their sons. So is isolating someone so bad? Is giving them one meal a day so bad? Where is the line between torture and punishment? LeAnn…. I have no issues with someone having to “pay” for crimes committed. As a matter of fact, I think our criminals have it way too good. Very recently in the news, some fellow robbed a bank of $1 – because he needed medical care & knew it would be provided if he was jailed. I don’t think one meal a day is torture at all but access to the internet, TV, and conjugal visits… homeless people don’t even get that much consideration!